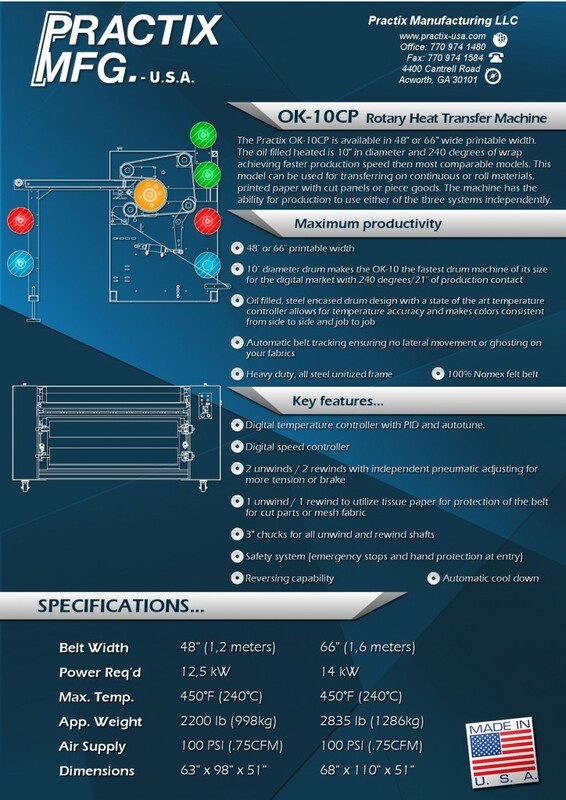 The Practix dye sublimation rotary heat model OK-10CP is available in 48” or 66” wide printable widths. The oil filled heated drum is 10″ (250 mm) in diameter and has 240 degrees of wrap achieving faster production speeds then most comparable models. This model can be used for transferring on continuous or roll materials. This heat transfer machine is small and affordable offering the Practix high quality innovative engineered design using a heavy duty frame, automation, and best quality electrical and pneumatic components like all Practix heat transfer equipment, including sublimation machines, lamination machinery and embossing equipment. 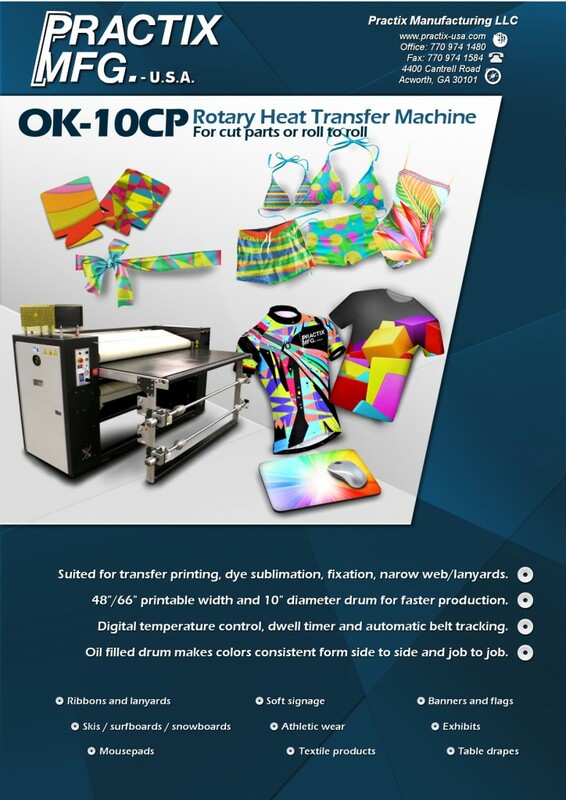 All of our machines, including the OK-10CP dye sublimation printer, come backed by a one-year mechanical and six-month electrical warranty. Plus, Practix machines are fully customizable to meet the size and color requirements of your facility. We service businesses worldwide. Call or e-mail us today and let us consult you on the right sublimation printer for your needs.